Tartu Street Food Festival and TaDaa! 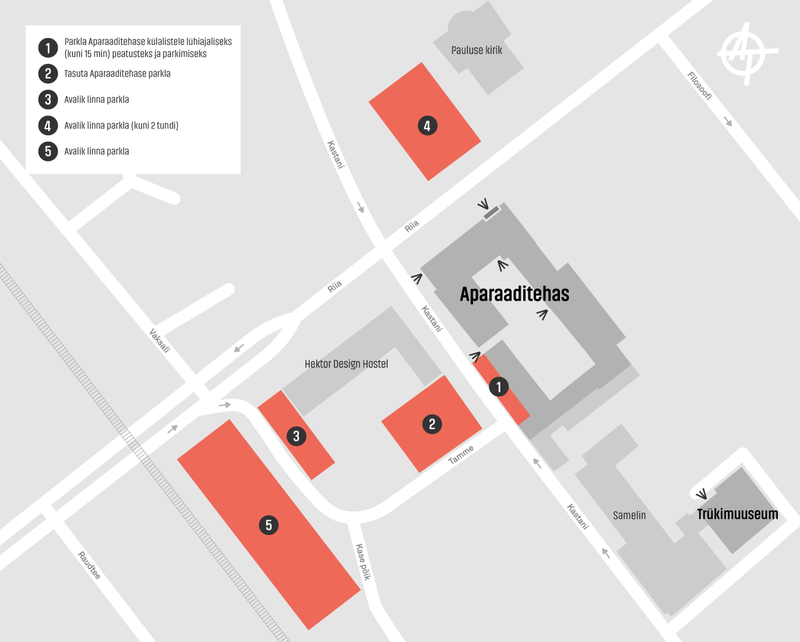 Festival take place at Tartu Widget Factory (Aparaaditehas) and Kastani Street. Please come to the festival on foot, by public transport or by bicycle! There is a bus stop in front of the Widget Factory. It is about 10-minute walk to the festival from the train station. A walk from the city centre or old town of Tartu to Aparaaditehas takes about 20 minutes. Parking the cars in the parking lot of the Widget Factory is limited and can be more complicated than usual. During the festival (June 16-17) the traffic management is changed – the part next to the Widget Factory on Kastani street is closed. We ask you to be attentive and follow the directions of the traffic instructors and the traffic signs. The town’s free public parking lots are right near the Widget Factory, in the area of Tamme Street and Kase põik, and on Riia Street, near the St. Paul’s Church.